A lot like a good burger, authentic Mexican food in Germany is often as elusive as the chupacabra, especially outside of culturally-diverse Berlin. So often done wrong by well-meaning restauranteurs, one begins to understand what to look for when seeking out the real deal: Spanish-speaking - both in menu and cooking staff, spicy dishes not compromised to appease the more sedate German palate, and of course, good word of mouth. The catch with word of mouth though, is it's all about perspective and expectations. I have so often overheard people bad-mouthing some of our favorite Mexican spots or been disappointed by a place highly recommended, and have come to learn that food is so subjective, it's nearly impossible to declare something 'the best' across the board. There will always be someone who disagrees, or values other aspects of said cuisine. This makes seeking out and declaring 'the best' of anything in a culinarily-blessed city like Berlin a difficult, albeit delicious, task. So after several months of criss-crossing Berlin in search of some of the best Mexican food, I have come up with what I consider to be a pretty solid list of places to get your fix. 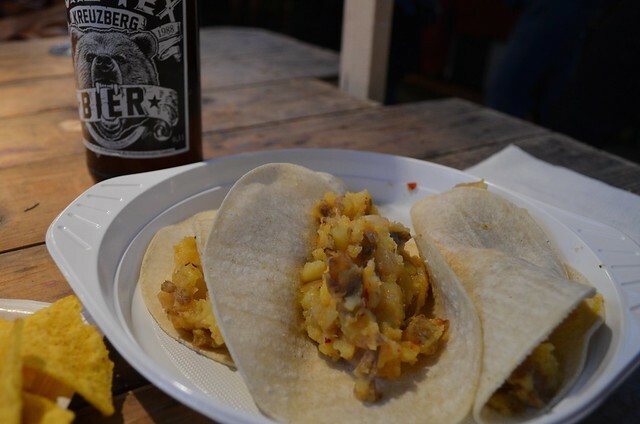 Let's be honest, some days you really want great tacos, while others, you're just in it to get your drank on. 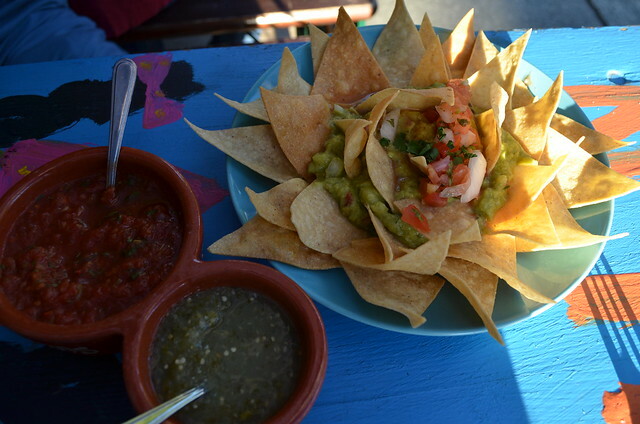 So rather than rank them overall, I have broken down what I think each does best, as well as put some of my favorite aspects of Mexican restaurants - like great chips and margaritas - to the test. Who am I to make these grand declarations about Berlin's Mexican food, you might be asking. Well, I'm a born-and-raised Californian with a lifetime of experience eating good Mexican food, from our family-run neighborhood restaurant that had been a favorite of my family for generations, to family friends bringing up homemade tamales directly from Mexico. College eating meant frequent stops for giant, greasy breakfast burritos after a long night of drinking, with regular burritos in between for good measure. Before leaving California, we had a regular weekend brunch spot that consisted of creative Cal-Mex fare and the most potent and delicious frozen margarita concoctions known to man (nothing says 'breakfast' quite like a mimosa-margarita, am I right?). So, Mexican food and I, we go way back. So now that you know where I'm coming from, I would like to introduce you to my favorite places to get Mexican food in this wonderful new city of ours. 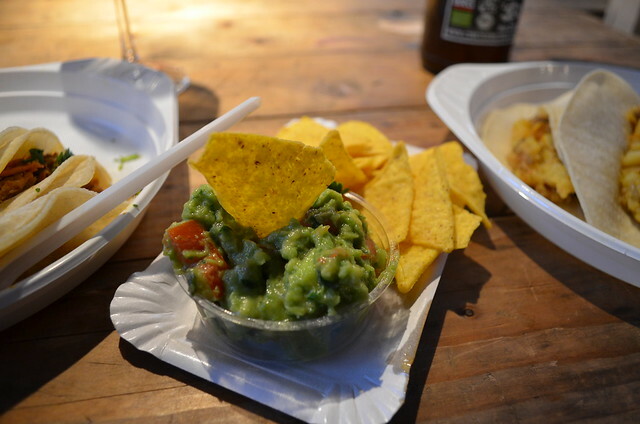 Obviously, main courses are the most important considerations, but margaritas, guacamole and chips (notoriously terrible in Germany) rank pretty high in importance as well, not to mention other factors like ambiance, location and staff. 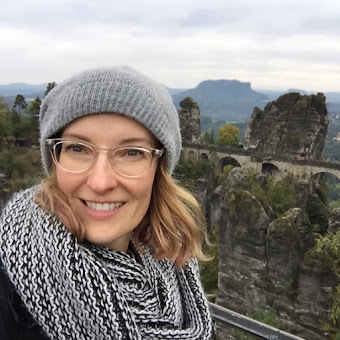 * I'm certain some will disagree with this list, or even want to contest me on a few (we foodies can be a passionate bunch), but my hope is that whether you are a Berliner or just visiting, you will find something here to enjoy. After all, that's what good food is about. Discovering some of the city's best Mexican food was mere blocks from our new Berlin apartment felt like hitting the foodie jackpot. While the proximity is a definite plus, it's really the food that has us frequenting this spot on a regular basis. The simple menu of a few kinds of tacos, burritos and quesadillas, with a couple specialty items like heuevos rancheros, might make choosing easier if only everything weren't so damn good. Think taco truck meets your favorite neighborhood dive. 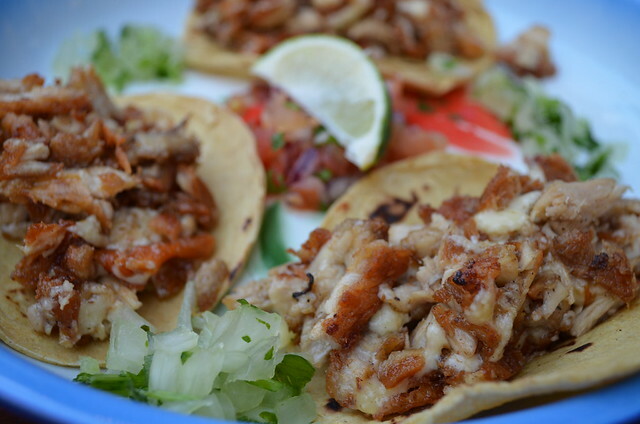 The quesadilla de pollo especial, with its juicy and flavourful chicken was my mainstay for a long time, until I discovered the simple perfection that is the carnitas taco: just tortillas and slow-cooked pork, that is then fried until golden and crispy. If I'm feeling crazy, I might add a little salsa or guacamole, but mostly I just stick with a squeeze of lime and enjoy the salty crispness in its purest form. One of my other favorites, ordered almost every visit, is the 'plato' of chips with guacamole and the best refried beans I can remember having in I don't know how long. 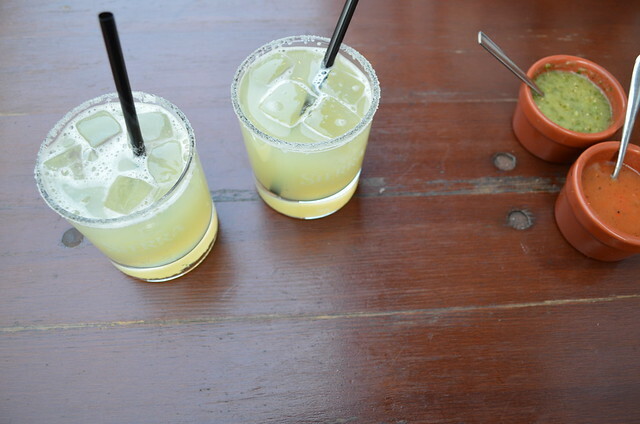 The frozen Mezcal margaritas are another favorite, what I might even say is the best in the city. It was during our first visit here on an apartment-scouting trip in the dead of winter that I discovered the Berlin holy grail of my favorite cocktail, enjoying it so much, I ordered a second one to-go. In the snow. So while the food is the clear star here, the charmingly chipped enamelware your order arrives on and the colorful lucha libre figures that line the window sill helps make this one of our go-to spots. Though the seating area is small and can get crowded during peak times, I've found that turnover is fairly quick at this casual eatery and we have never waited very long for a place to sit and enjoy our meal. The staff is friendly and mostly fluent in German and English, and often Spanish as well. The first time we visited Ta'Cabrón, I looked at the menu almost entirely in Spanish and the offering of not just one, but two kinds of my-very-favorite-yet-incredibly-elusive-in-Germany Mexican specialty - the tamale - and knew we had found a potential winner. With my first sip of its perfectly mixed, chili-salt rimmed margarita, I knew this would be a regular stop for us. Ta'Cabrón is perhaps the most authentic Mexican on this list. Its intense, rich and belly-burning flavors satiate an expat's need for Mexican food like nothing else. 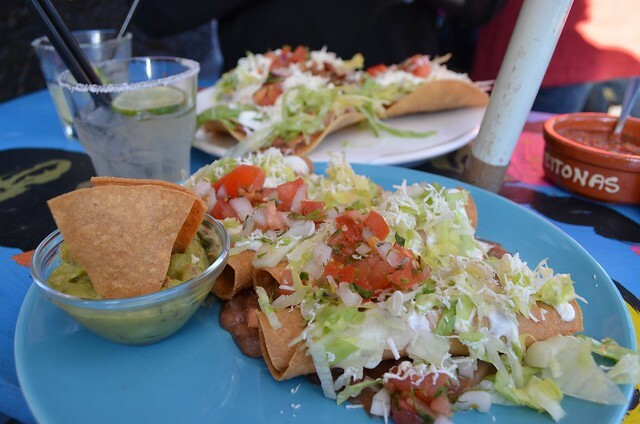 Phenomenal margaritas, delicious chips and guacamole, and never-disappointing entrees are always a reminder that we need to get out to Kreuzberg to eat more often. Definitely the place with the spiciest options we've come across, the heat never overpowers the amazing flavors of cornmeal or rich, chocolatey mole. 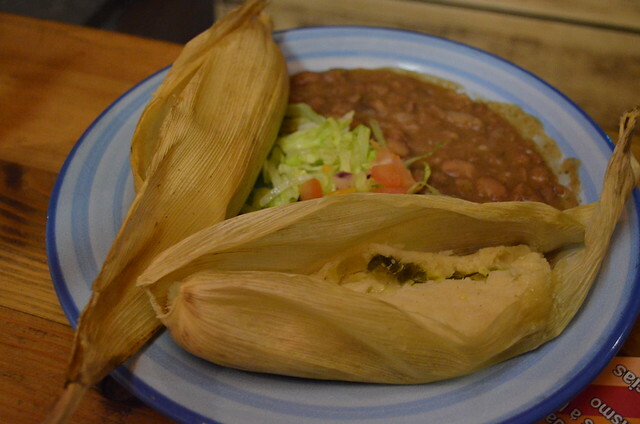 The simple beans that come with most plates also do not disappoint. The colorful, cozy interior is perfect for getting warm in the cold months, while the ample outdoor seating is most enjoyable when the weather gets warmer. Additionally, I have probably heard the most English and Spanish from patrons here than any other place on this list, if that is at all telling of who values its cuisine. Perhaps it's a bit unfair to have Santa Maria on this list, seeing as it is owned by the same folks as Maria Bonita, but I think the offerings and the vibe are different enough to call it a separate entry. Much bigger than its little sister Maria Bonita, this location is still always packed. We have been for lunch, for dinner and for Taco Tuesday and pretty much had to wait for a table every time. All that space and yet no reservations when trying to plan a night out can be a bit frustrating. That being said, it is worth the wait. What Santa Maria lacks in the small-time charm of Maria Bonita, it makes up for it in menu offerings. You will find similarities in the basics like tacos, burritos and quesadillas, but in many more variations, including more vegetarian, seafood and spicy chorizo options. 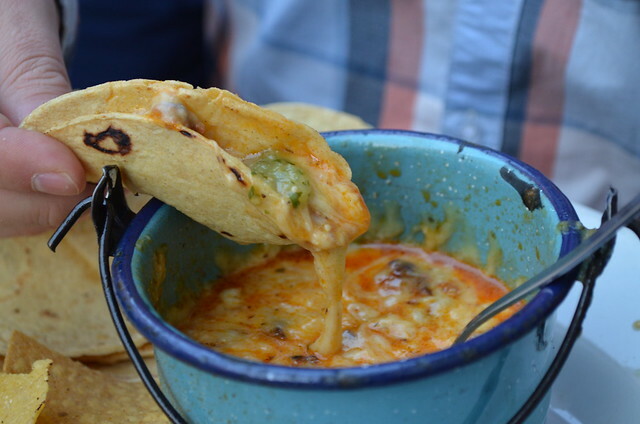 It is with the ample offerings that I think this restaurant really wins: tostadas, enchiladas, soup, salad and a wonderfully spicy and heart-attack-worthy cheese fondue with tortillas. The drink menu is equally impressive with everything from micheladas (not so impressive) and a frozen mango-jalapeno margarita (spicy and delicious! ), to the classics like bloody marys and caipirinhas. 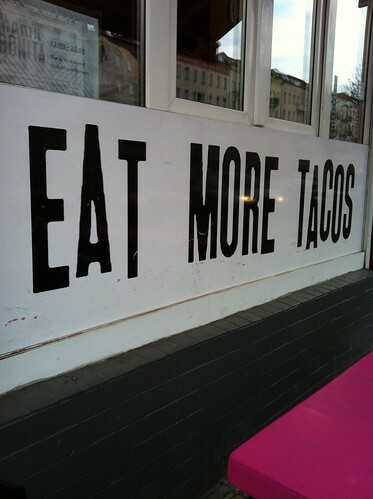 If you're looking for a budget meal, then Taco Tuesdays can't be beat: 1€ tacos and tequila shots all day. If you happen to be a bit of a culinary snob, like myself, it's worth springing for regular menu items, as the special-priced tacos on Tuesday can be a bit lackluster compared to what you can get for just a couple euros more. Every time I am here, I struggle with the plethora of options and mentally file away all the things I want to order on my next visit (like all those offerings of pumpkin with chipotle and caramelized red onion...). Solid chips and guacamole, with great basic margaritas on the rocks, it's definitely worth a visit for any Mexican food connoisseur. Just arrive early to ensure you get a table. It didn't take us long on our first visit to Street Food Thursday to hone in on the tacos booth. Often with one of the longest lines at the weekly food festival, we quickly discovered why. The owner hails from Mexico City and has clearly brought the flavors and spice with him. Their usual pork offering is juicy and delicious, but it's when they make something special like al pastor - chunks of pork marinated with spices and pineapple pieces - that you become a die-hard fan. And don't be fooled by the almost German-looking potato option, with its onions, peppers and slow burn in your belly, it's all Mexican. Those averse to mouth-burning heat would be advised against even touching the salsa. can't miss: um, the tacos! 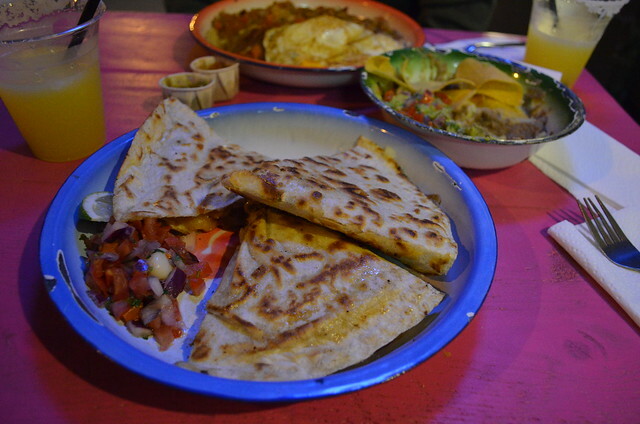 Our most recent discovery on Berlin's Mexican food circuit, we were rather surprised at how Agüevo Taqueria has eluded us for so long. Our first visit, we were immediately struck by the great outdoor seating at colorfully painted tables. When the super sweet waitress, who seemed right at home taking our orders in Spanish from my husband, brought our on-the-rocks margaritas, we believed we had found the place in Berlin for this signature Mexican cocktail. 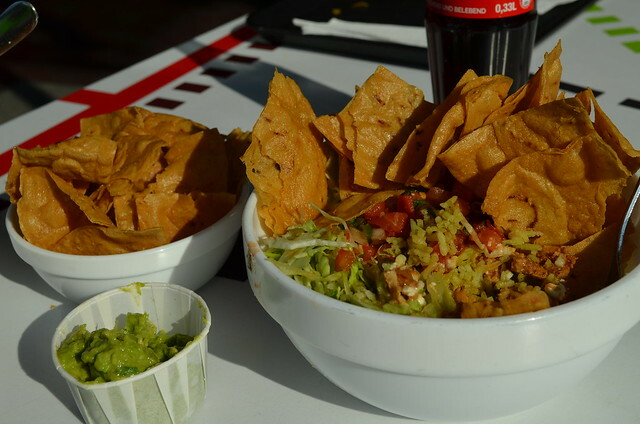 When the chips and guacamole arrived, we started to get even more excited for our entrees. The guacamole was good, though not quite on par with some others on this list, but it was the perfectly crisp tortilla chips that became our new favorite. 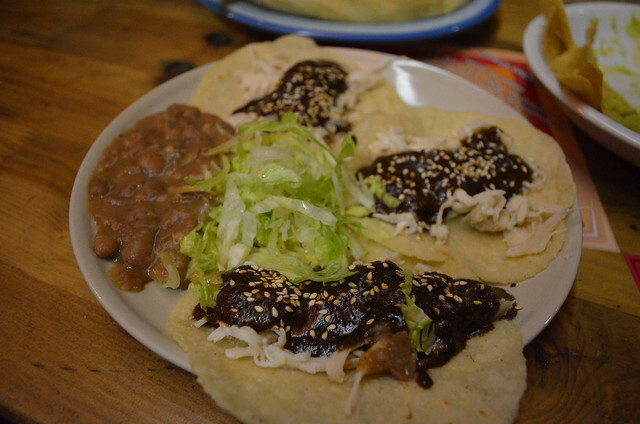 After eating here a few times, we have come to the conclusion that it is the more specialty items - the chicken enchiladas smothered in a spicy mole sauce or the fat little rolled and filled tortillas, fried to perfect crispness - that is where they really shine. The tacos are good, but I think better can be had elsewhere in the city. I am looking forward to trying more off their diverse and ample menu, like their tasty-looking soups, on future visits. 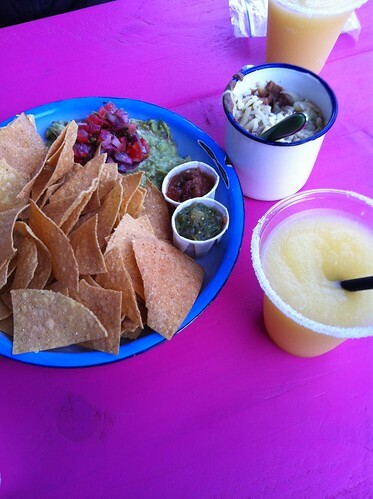 Or perhaps just make a meal out of the amazing chips and margaritas. S Berlin Ostkreuz / M13 Boxhagenerstr./Holteistr. Honorable mentions go to Dolores for its tasty and filling burritos - not to mention the best tortilla chips in Berlin (see above) - and to Tacos de Mexico, which lost some points for lackluster chips and margaritas, as well as its rather remote location, but has some really flavourful and authentic tacos. * These are solely my opinions and my impressions can only be applied to what I have actually eaten. There may be spicier items on the menu or a better margarita somewhere else, but I can only comment on what I have experienced. That said, if you think you have found something better, please do not hesitate to share it in the comments. Nothing would make me happier than doing further 'research' on this topic! Interesting list, and it's definitely great to see so many different takes on what "the best" Mexican food is. I would naturally disagree with some of these, but only on the basis that I am a vegan, and so my criteria is much different than yours. (For example, Ta'Cabron's vegan food left a lot to be desired. Meanwhile, the vegan burrito I had at Maria Bonita, while being one of the only vegan options on the menu, was perfectly spicy and quite tasty. The best place for vegans, however, is Burrito Baby, as it's 100% veg.) Still not been to Santa Maria, though I have heard it's wonderful for veggies. And haven't heard of Agüevo Taqueria Cantina or La Tortilla Atomica, so thanks for the tips on those! Have you been to No Hablo Espanol? I still want to check it out. Also, do any of these places serve burritos in tinfoil? I think that's what I miss the most!